Thanks Kent for saving CG! --Guest-- That's a water runoff zone. You could build a structure there if local regulations don't forbid it but it wouldn't be very pleasant. All the water and refuse from the parking lot would be swept directly to the front of the hotel. Furthermore, drainage channels and retention ponds are already situated there. 956 Posts Why would anyone squeeze a resort between a parking lot and the lake when they have a prime location avaiable where the zoo use to be or any other available area in the park that would be better? Rides and attractions can be put anywhere and will be judged by the ride and attraction - not the location (especially by children). To a resort the location is ten times more important which gives ten times the reason to use the best location available. Location, location, location! 1451 Posts I've always thought that strip of land could be used for something too... But I assumed there was some reason it wasn't due to it being on the edge of the lake. Still... There are other places on the edge that ARE used. As you can see from my drawing, I was hoping they'd use some of it, at least for an easy entrance to the hotel for guests. --Guest-- It will be interesting to see how guests will get to the resort without having to go through the parking toll booths. It would be a major undertaking to create a bypass road along the lake since the drainage channel Shuart24 previously mentioned is already situated there. They also need to do something about the dumpster area just north of the resort area. When the wind is blowing just right, resort guests are going to be innundated with the smell of decomposing garbage. 1451 Posts Here's a possibility... The only downside I see is that people driving to the resort parking would have to be extra careful of pedestrians just after the bus drop off area. LLF can put a Stop sign there. Of course, I don't think they'll do it this way. I think they can easily add a "Resort Only" lane at the main parking booths. --Guest-- The resort reportedly will have 250 rooms which means a "Resort Only" lane won't see too much traffic throughout the day. I don't think it would make sense financially to pay someone to staff a seperate lane that will only serve a couple hundred cars per day. This will also tick off other guests during the busy season when they see an empty lane while they're waiting over 30 minutes to park their car. Your alternate route looks to be a better option although you would probably still need someone staffing the route to make sure non-resort guests aren't using it to avoid the parking fees. The LEGOLANDÂ® California Resort Hotel, opening Summer 2013, has the most exclusive and premier location, right at entrance to LEGOLANDÂ® California! Nowhere else in the U.S. can families sleep in a LEGO themed hotel room, and build their very own 24-hour LEGO experience! Prepare to laugh as excitedly as your children when you enter any one of our 250 themed rooms! No matter what age you are, youâ€™ll be entranced by the unbelievable attention to detail that makes this hotel so unique. Whether you choose Pirate, Adventure or Kingdom, each room has been designed to make your stay at the new LEGOLAND California Resort Hotel truly unforgettable â€“ and you can upgrade to a Premium Themed room for some extra surprises! 956 Posts Now you know why they will build the resort in the most prime land available to make the setting as special as the resort. In all probabilty the current long looping road to get to the parking lot entrance was planned so when they built the resort it would end close to the hotel and LL would just add a resort only parking booth with a parking section just for the hotel close to the hotel. Looks like they already have a section of the parking lot they can fence off that would be close to the resort. In reality 30 minute waits on the current access road are the exception and not the rule - during the very peak times it is always chaos and waiting. Plus in all probabilty a majority of the resort guests will arrive before LL is open or after it is closed. The resort can also inform guests it is best to arrive at those times during the very peak days - otherwise expect delays. Besides, I would think the resort is so unique and special that most would put up with a 30 minute wait to get to those themed rooms their chidren will be all excited about even during peak times. They do it just to get into the park for the day! With 250 rooms going for a prime rate LL will indeed afford a seperate resort parking gate/attendant/security for the resort. Pretty much a necessity since resort folks will be coming and going 24 hours a day even when LL and the LL general parking is closed. They will need to keep those who are not guests of the resort out of the resort parking. --Guest-- I see the California Lego hotel is being built in an area previously used for bus parking. That suggests hotel guests will have separate access away from the parking toll booths. It would be much easier to add a resort access lane along the bus entry point versus building a resort lane next to the parking toll booths. 956 Posts No need to build a resort lane next to the parking toll boths. Just use the same road/lanes with just a new seperate dedicated booth clearly marked for Resort guests only. Also have signs on the road coming in something like "Resort/hotel guests only use booth on the far left." 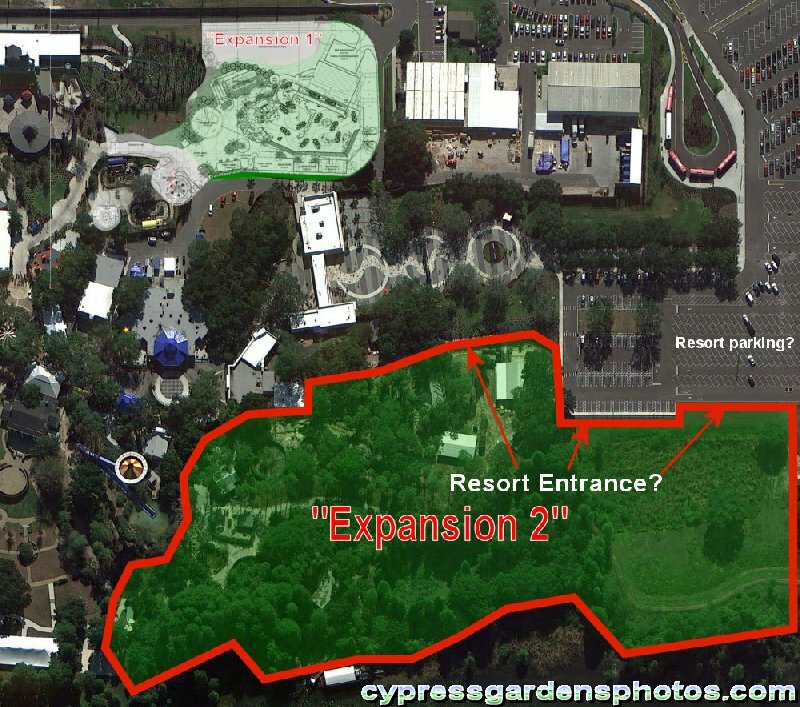 That booth would give access to the Resort parking lot which could be just a fenced section of the current parking lot. 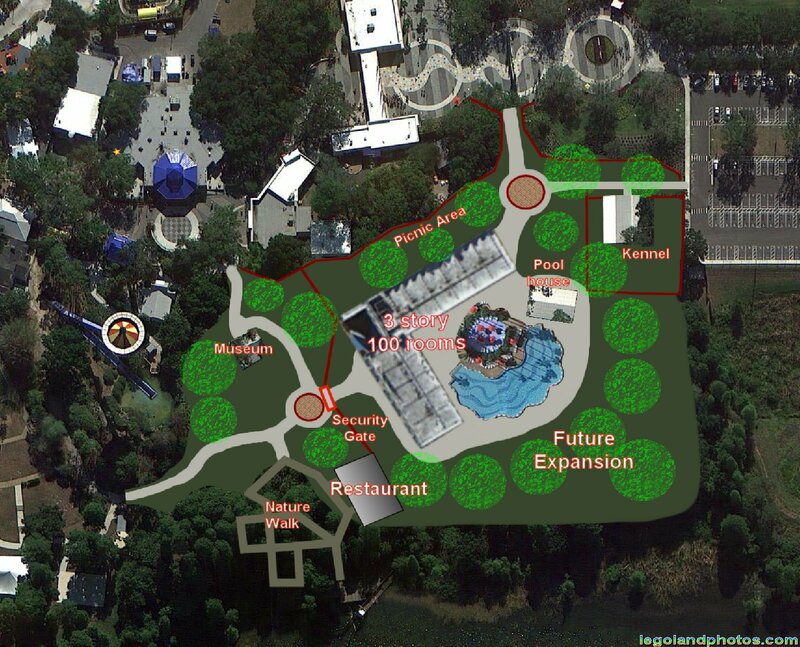 This would be the easiest solution of all if the Resort goes in the old zoo area. 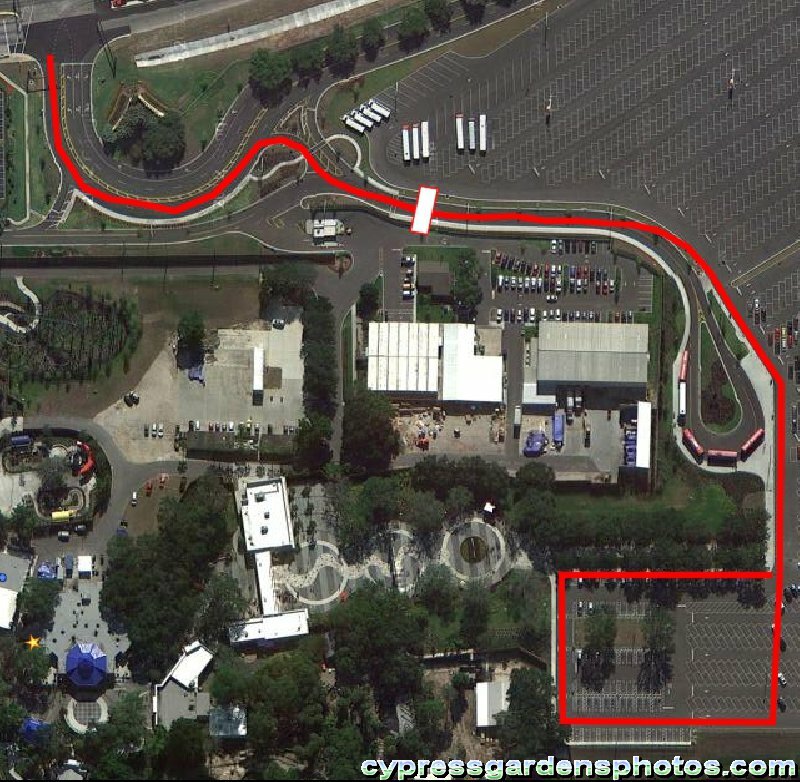 Which, unlike California, given the old zoo area location and the location of the front admission gate (normally don't build a public traffic road between the parking lot and the front gate) - limits what they can do with a seperate resort road. That being said there are many different ways possible to accomplish the same thing - so up to LL to decide. The end result is there will be a resort/hotel, a way to get to it and a place to park - that is all that matters. 1451 Posts The wife attended another function tonight and Adrian was the speaker. Again, the worst kept secret is out. 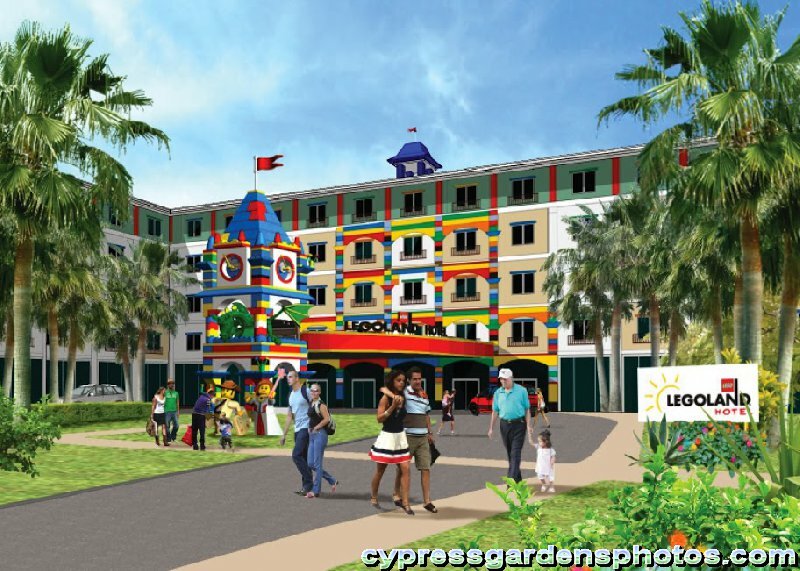 Legoland is going to be building a hotel on the lake. Again, the only place it could go is the old animal area. He said it would be of modest size and not as big as the California one. Which is perfectly fine. I think they should make it smaller to begin with, but leave room to expand it if necessary. I noticed that the grounds of Snively Mansion are being kept up pretty nicely. That could be a great "evening stroll" area after hours. 1451 Posts This is how *I* would do a resort, kind of a dream design. I borrowed one of the Disney All-Star Sports resorts, trimmed off 1/3 of the building and added it in there. The building holds 192 rooms, so I figure taking off 1/3 gets you 127 rooms, but then you got to have lobby, shopping, restaurant, etc. So I made it an even 100 rooms. I think it's a safe bet that the kennel won't be going away. Also, they haven't torn down the former radio museum or the reptile house, so I don't know if they plan to incorporate them or not. I kept them just in case. 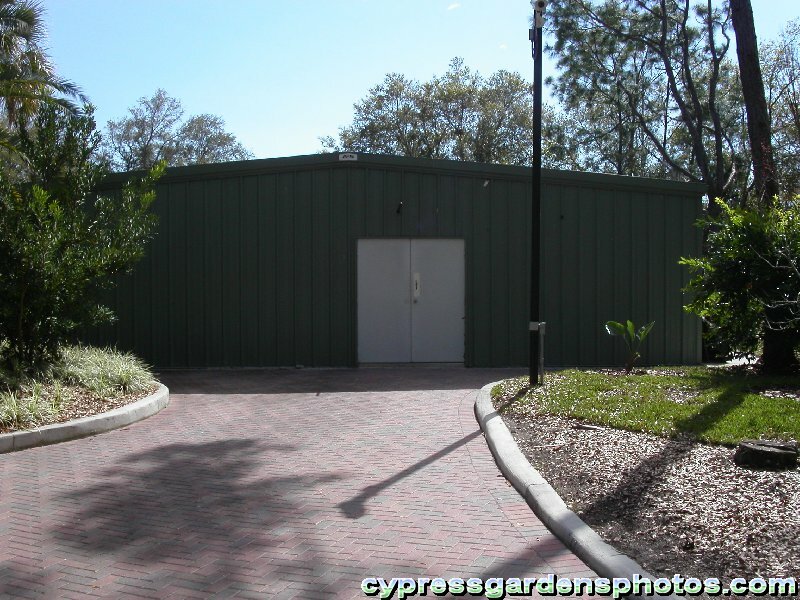 Maybe turn the Reptile house into a play room or picnic pavilion or something. I left some space should the resort become popular and they want to expand. Could become a play area or beach or another building. I also loved the dock/nature walk so I kept that. Kind of a neat strolling area. There is a locked gate leading to the Plantation Gardens. Maybe open that area to hotel guests after the park closes? But I did put a manned security gate near The Big Shop. People would have to show tickets to get into the main park. Anyway, here's my idea. Bigger version for members is in the Maps gallery. 1451 Posts Here's my 2nd idea for a resort design. I used the same hotel and pool as before, but moved some stuff around. On this one, I was trying to move the building slightly closer to the parking lot so that there isn't as long a trudge to get there. I also decided to turn the reptile house into a pool house. They can use it for food, lockers, seating, whatever. Then I split it apart from the rest of the park and added a single security gate. This way guests of the main park can still wander down this way and visit the museum and nature walk without going through security. And if a hotel guest wants to go through, they'd just show their room card. I've also added a restaurant (we can call it the "Overlook") that is near the nature walk. Would provide a great view of the lake during dinner. Oh, and here's a photo of the reptile house. Big enough for lockers/change rooms anyway. As Legoland Florida unveiled its World of Chima last week, there was no news on the possible addition of a hotel at the Winter Haven theme park. Merlin Entertainments Group, which owns the park, said in 2011 that it hoped to turn the park into a destination resort by opening a Legoland hotel in 2014 or 2015. Pairing hotels and theme parks is something the company has done at other Legoland locations. Asked for an update on the venture last week, General Manager Adrian Jones seemed optimistic but didn't provide specifics. "I can't really give you a definite. I wish I could," Jones said. "Let's just say that â€” as I've said, and made no secret of it â€” we want this park to become a resort. â€¦ We just opened a Legoland hotel in California, which is doing brilliantly well; the one in Windsor did amazingly well; they're building one in Malaysia. So they're building them everywhere else but here." 1451 Posts Well, it's officially official! The four-story, 152-room hotel will enable Legoland to draw guests for overnight stays rather than just day trips from Orlando, Jones said. Legoland leaders have said since before the park opened in October 2011 that they eventually would build a hotel but had not previously set a date. The L-shaped hotel, including a pool and a restaurant, will be built in the southwest section of the park between the pedestrian entrance and the shore of Lake Eloise. Thursdayâ€™s ceremony at the pre-construction site took place beside the remnants of an animal exhibit from Legolandâ€™s predecessor, Cypress Gardens. 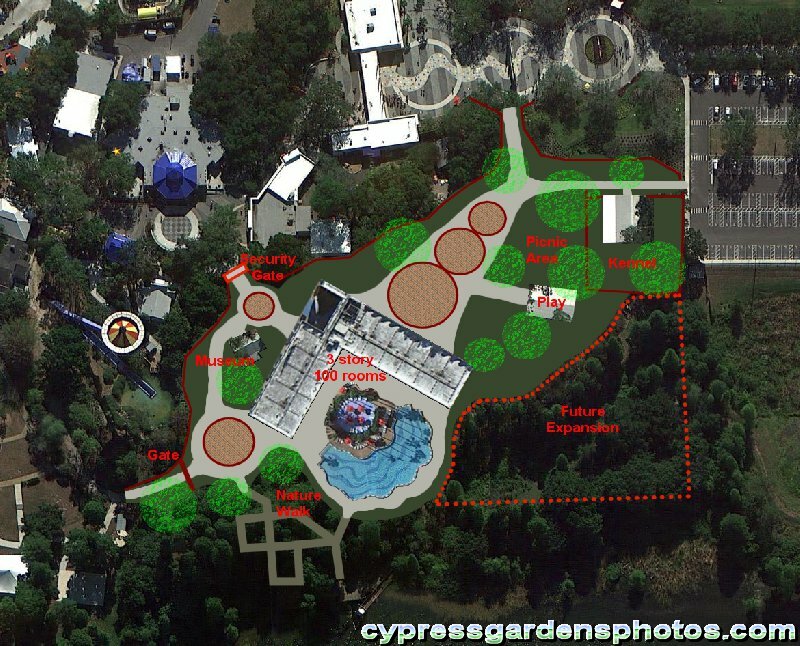 From what I can tell, the front side of the animal area will just be cleaned up and a pool added. 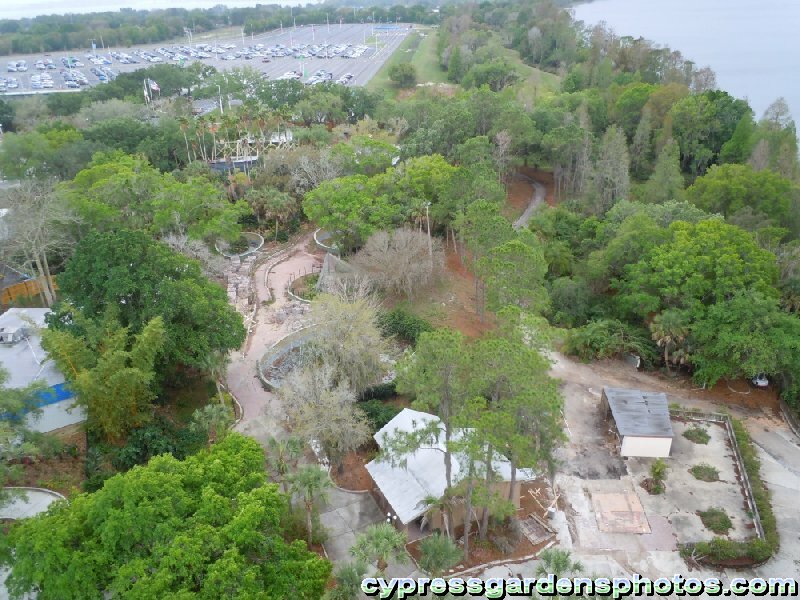 The back side (where the Wild About Wildlife show used to be) is where the hotel will be. I'm curious to know what they will do with the Radio Museum building. It's still on the map and looks to be part of the pool area now. --Guest-- Sort of disappointed with this announcement. I was expecting more talk of convention space (or event space), as well as more room for a new addition on that side of the park. Here's to holding out that they have a plan to expand the acreage of the park once this is in place. Gotta start small and work your way up. If they get enough requests for conventions, I'm sure they'll seriously consider it. as well as more room for a new addition on that side of the park. 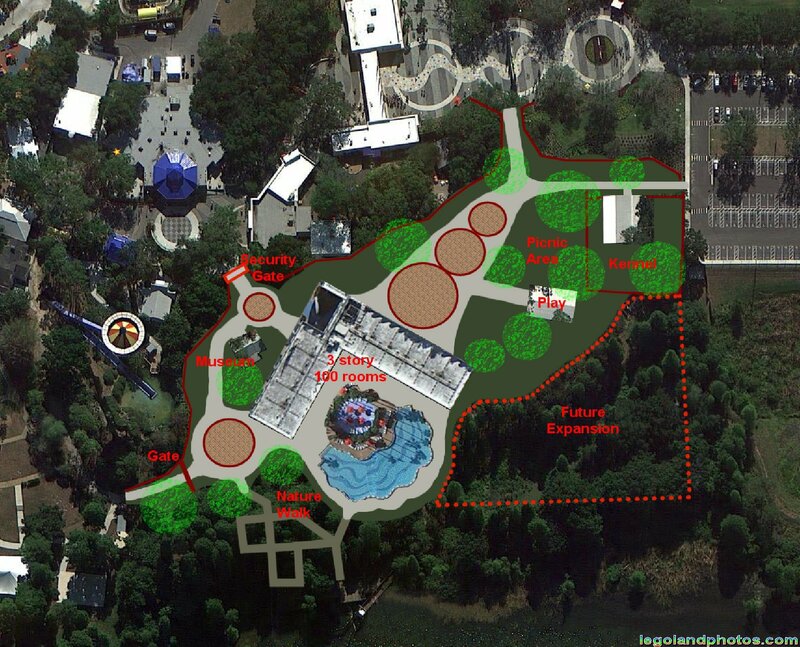 Here's to holding out that they have a plan to expand the acreage of the park once this is in place. 956 Posts The old CG site was attractive since it was already zoned and available for an amusement park - saves years of zoning, environmental studies, public hearings, etc. to buid at a new site with more land. 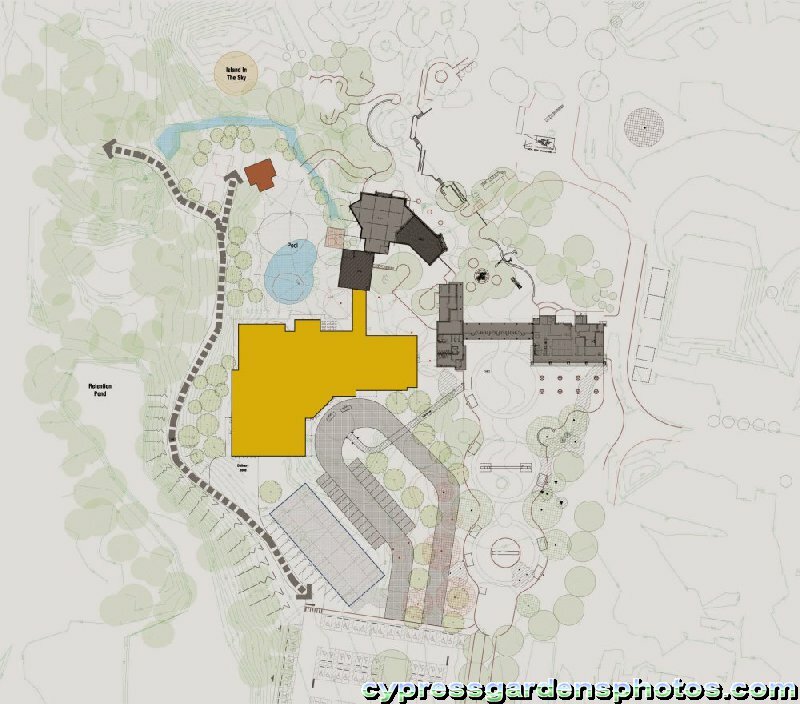 The down side with the old CG site was limited space to expand with no additional land available to purchase. There is some space available for limited expansion and probably as the years pass both the State and the County will go along with more of the "protected land" being made available for LL to utilize for the "economic good" of the area. Plus they could also build a parking garage to free up more land - but that does get expensive. As to a LL convention center in a children's park so far from all the action and attractions in Orlando - probably will never happen. Just way too much convention space in Orlando and would be very difficult for LL to compete with what Orlando has to offer for conventions. A hotel with most guests staying one or two nights is probably what the demand will be and it looks like that is the direction LL is going. --Guest-- There are signs along the entry road leading to the parking toll booths that say "Hotel guests use left lane." That pretty much confirms the route hotel guests will have to use to arrive at the hotel. The next question is whether the far left toll booth will serve hotel guests only (not a good idea since that will increase the backlog of cars waiting to get into the park). Another option would be to temporarily close off one of the two exit lanes and make it a dedicated hotel access lane during the early part of the day.